The new GMC Terrain was redesigned to be the face of modern luxury. 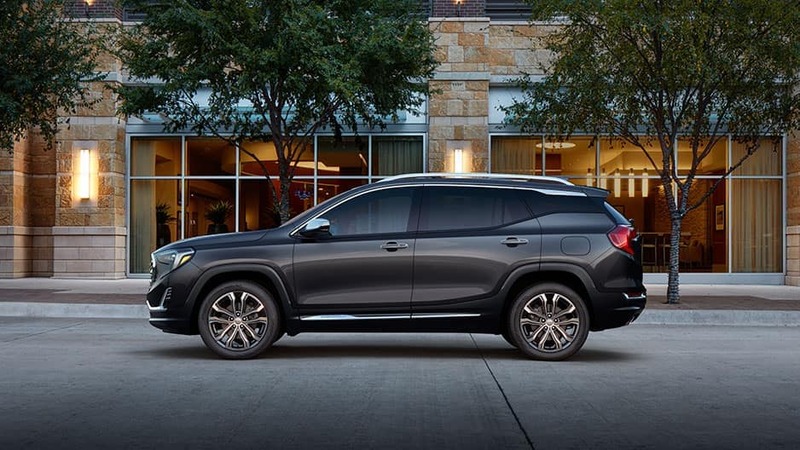 The all-new GMC Terrain was redesigned to be the face of modern luxury. 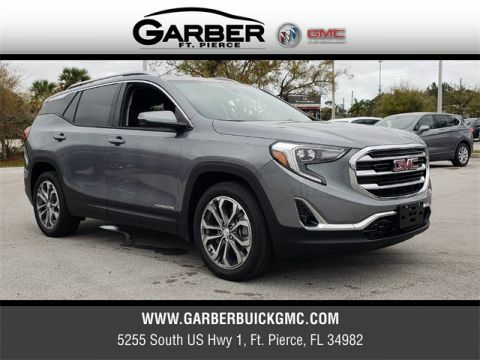 When you want the maneuverability of a sedan but crave the storage space of a crossover, the all-new GMC Terrain is the perfect solution. While technically classified as a compact SUV, the redesigned Terrain will surprise you with its Front-to-Back Flat Load floors. 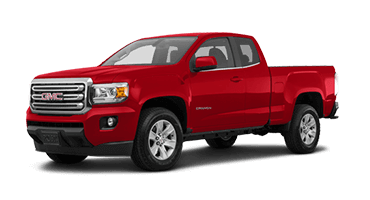 Fold down the rear bench and the front passenger seat to unlock an unprecedented 81.0 cubic feet of cargo space. 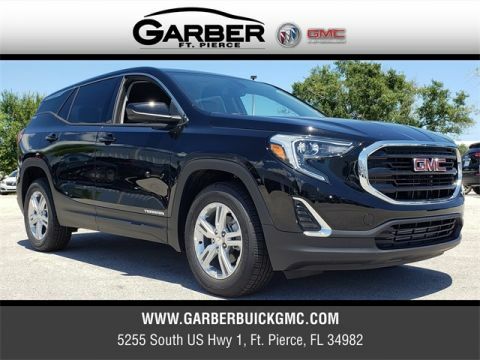 Whether you’re spending the day in Vero Beach, commuting to Stuart, or meeting friends in Port St. Lucie, you’ll have all the space you need in the all-new GMC Terrain. 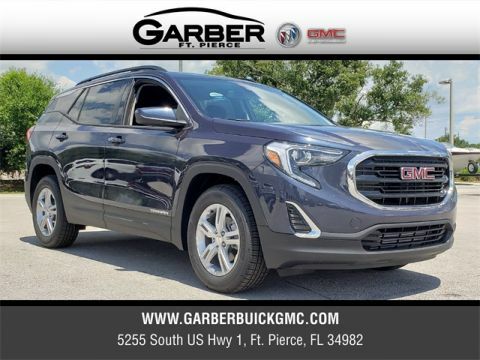 And that’s hardly scratching the surface of the contemporary luxury that the all-new GMC Terrain has to offer. 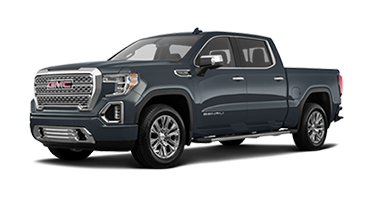 Sporting a remodeled body crafted for superior aerodynamics, as well as an athletic stance and bold grille, you won’t be able to tear your eyes away. Slip inside and discover the professional-grade splendor of the interior, complete with real aluminum trim and soft-touch materials. You don’t have to just take our word for it though. 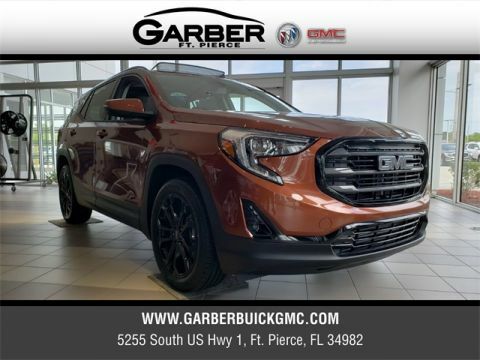 Stop in to Garber Buick GMC in Fort Pierce today and take the all-new GMC Terrain for a test drive. 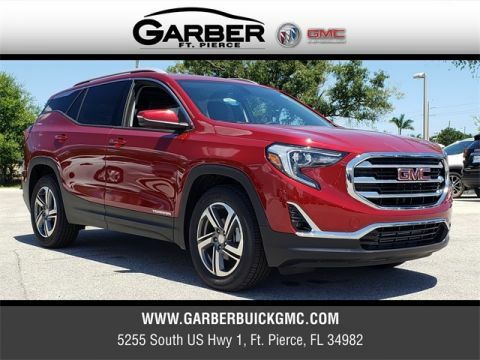 The all-new GMC Terrain has been meticulously redesigned with a curvier body for improved aerodynamics while still boasting the athletic stance you love. 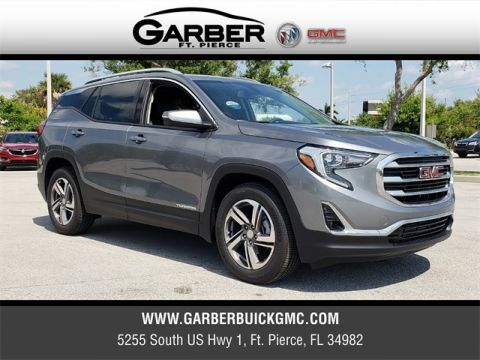 Factoring in LED lighting, a distinctive grille, and Hands-Free Power Liftgate, the Terrain is the compact SUV you won’t want to take your eyes off of. Take command of the roads in the all-new GMC Terrain. 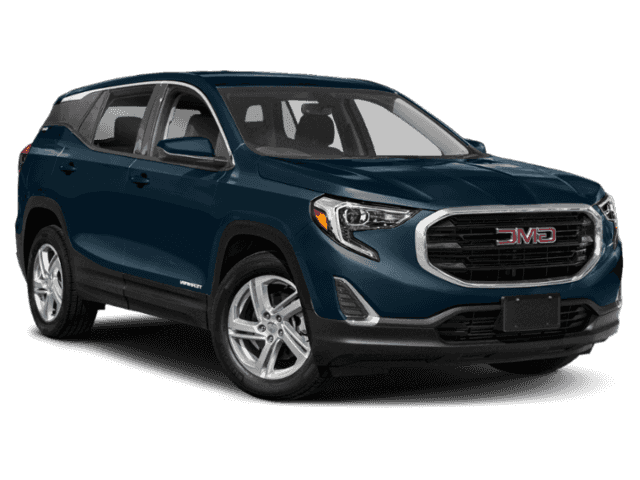 Masterfully combining a bold grille, athletic stance, and a curvaceous, redesigned frame, the Terrain grabs your attention and holds it for a long time. 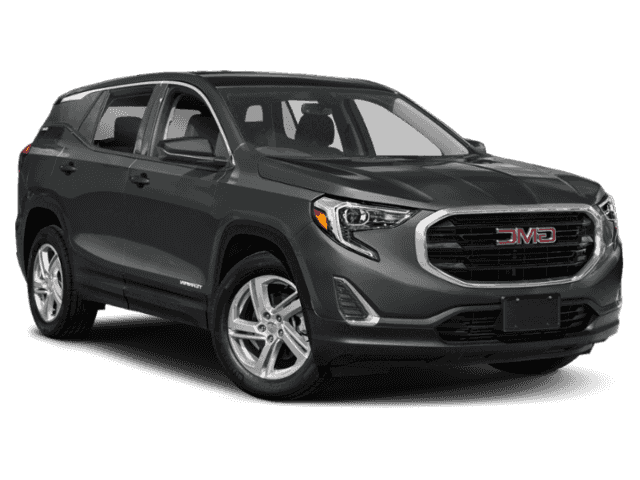 Enjoy brighter visibility courtesy of the GMC Terrain’s LED lighting, including GMC’s signature C-shaped High-Intensity Discharge (HID) headlamps. The same distinctive C-shaped design continues in the rear, with striking LED taillamps to complement the front. 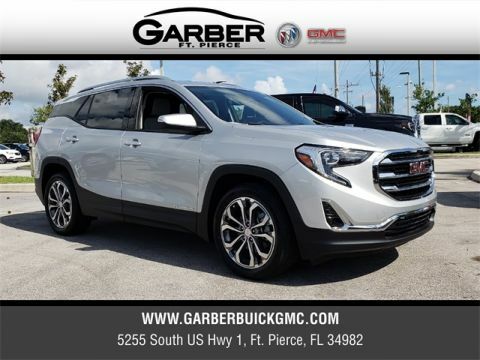 Don’t worry about fumbling for your keys when your hands are full thanks to the GMC Terrain’s Hands-Free Power Programmable Liftgate. Simply extend your foot under the rear bumper and the liftgate opens to your preset height, allowing easy access to the Terrain’s cargo area. Bask in some warm rays on your morning commute with the Terrain’s Skyscape Sunroof. Positioned above the front row, simply press a button to open the panel and let fresh air in. Or use the power sunshade option to block out light and keep things cool on hot summer days. With this available system, the Terrain automatically turns the high beams on and off depending on surrounding traffic conditions. When it senses that a vehicle is approaching or that there is a vehicle ahead of you, it automatically adjusts your high beams for you. Chase away frost, ice, and fog with the Terrain’s heated side-view mirrors. Automatically activated when you engage the rear defrost, you’ll enjoy clear visibility on even the chilliest of days. Open the door of the all-new GMC Terrain, and discover a cabin designed with you in mind. 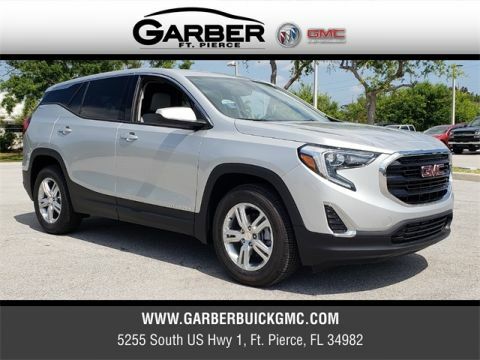 Practical, stylish, and comfortable, the Terrain raises the bar in the modern crossover segment by offering unparalleled cargo capacity. You’ll be amazed at how much you can bring along for the ride. While the Terrain is technically classified as a compact SUV, you would never guess it from how versatile the storage space is. 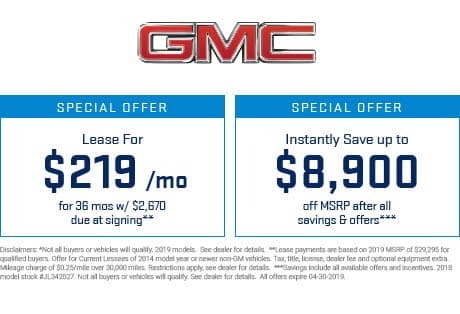 Featuring Front-to-Back Flat Load floors, you’ll experience an astonishing 81.0 cubic feet of cargo volume when the rear and front passenger seats are folded down. 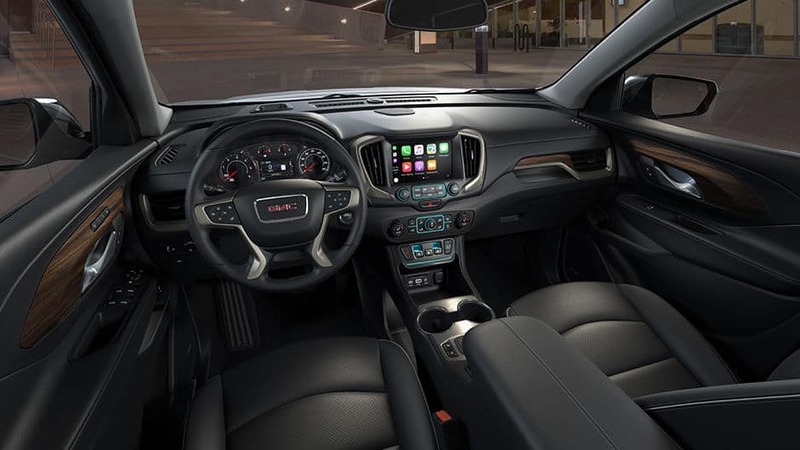 Take a seat in the all-new GMC Terrain and luxuriate in all the splendid little details. 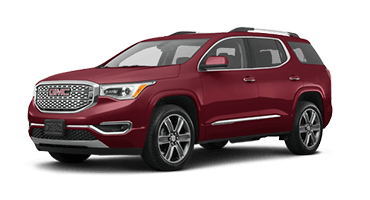 With premium French-stitching, real aluminum trim, and soft-touch materials throughout the cabin, this is one ride that you won’t want to get out of. Never argue over the heat or AC settings again, thanks to the dual-zone climate control in the all-new GMC Terrain. 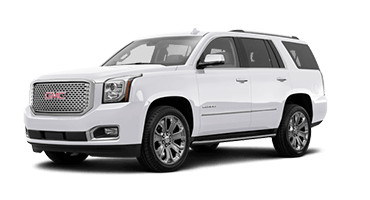 This system automatically maintains a selected temperature for you and the passenger, utilizing radar technology to keep your individual areas exactly how you want them. The all-new GMC Terrain does away with headlamp glare from behind with its auto-dimming inside rearview mirror. When it senses bright lights behind you, it automatically adjusts to combat the glare, so you don’t get distracted while driving. 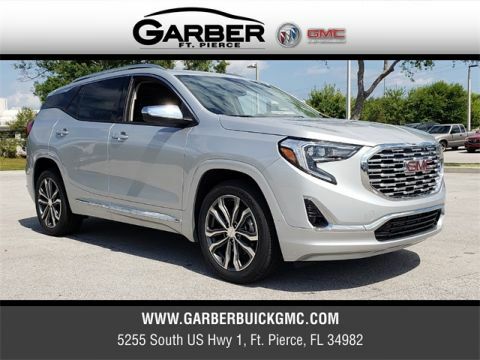 Experience true innovation in the all-new GMC Terrain, which features the state-of-the-art Electronic Precision Shift. This button and switch-based transmission system offers a sleek, contemporary look, and frees up space that would traditionally be taken by the gearshift. The remodeled body of the all-new GMC Terrain isn’t the only innovation on display here. 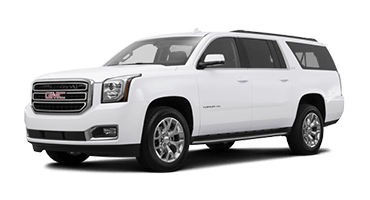 Slip inside and discover the various advanced technology features that await, including 4G LTE Wi-Fi®, GMC Infotainment System, and Bose® Premium Audio. You’ll be forgiven for wanting to take the long way home. Keep your favorite apps handy with the GMC Infotainment System. 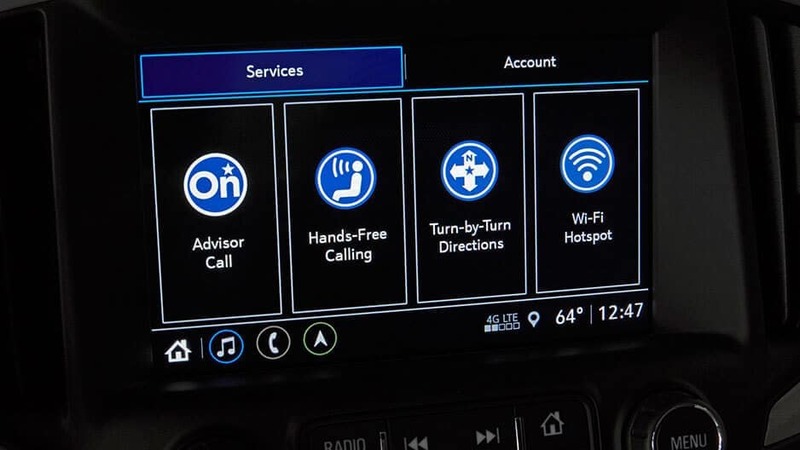 By connecting your device via Apple CarPlay™ or Android Auto™, you can easily access your favorite apps right on the 8” digital touchscreen, making it simple to stream music, answer calls, or navigate unknown cities. 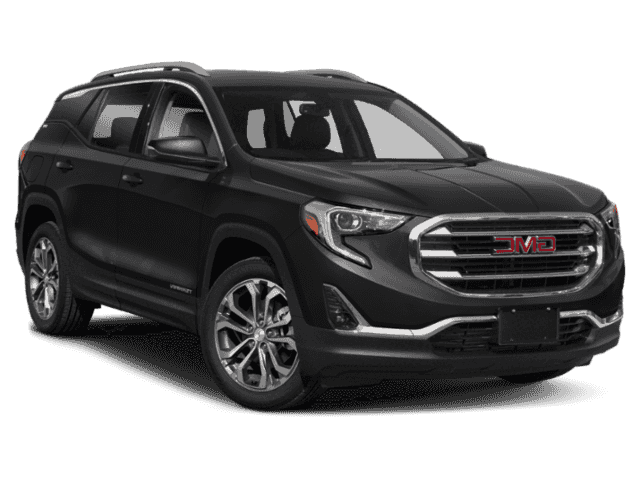 Save your data on long road trips with the all-new GMC Terrain, which features a built-in 4G LTE Wi-Fi hotspot. Sync up to 7 devices and stay connected no matter where the road takes you. Surround yourself in crystal clear sound with the Bose Premium 7-Speaker audio system, the latest innovation from the masters of sound engineering. Strategically placed throughout the Terrain’s cabin, you’re guaranteed concert-quality sound no matter where you’re sitting. Put those Bose speakers to good use with a free 3-month trial of SiriusXM Satellite Radio. 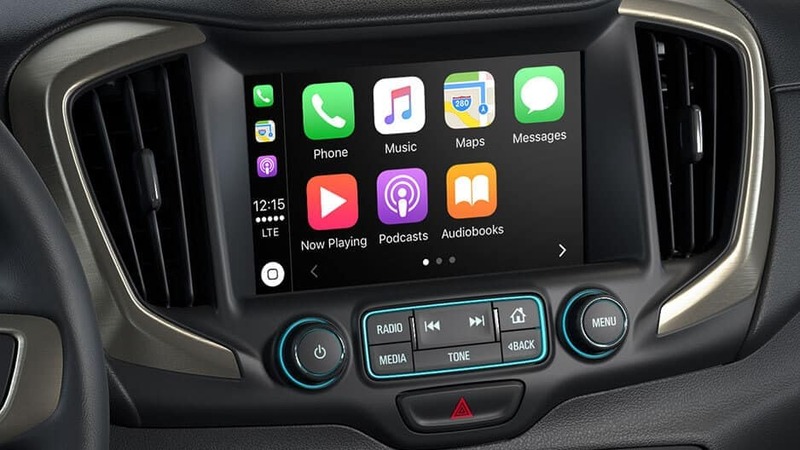 Enjoy over 150 channels of commercial free music, as well as sports, exclusive talk, entertainment, and news as you’re cruising through the city in your new Terrain. Back out of any parking spot or driveway with ease, courtesy of the Terrain’s Rear Vision Camera. When you shift into Reverse, the 8” touchscreen automatically switches to a live feed of the area behind you, complete with dynamic guiding lines to ensure you don’t accidentally back in to anything. 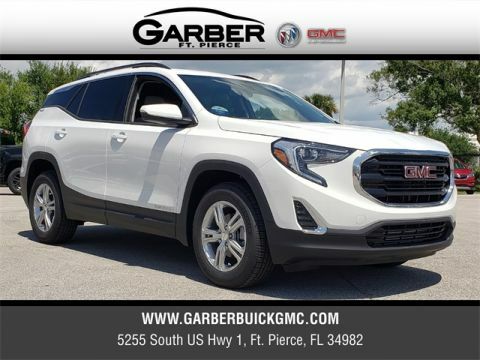 While there is no substitution for safe driving techniques, you can rely on the all-new GMC Terrain to have your back with its array of advanced safety technologies, including Forward Collision Alert and the Safety Alert Seat. The Terrain ups your driving game, so you can detect and prevent road hazards from happening. This available system helps you keep an eye on the vehicle ahead of you and warns you if you’re following it too closely. It will also warn you with audible and visual alerts if it detects a front-end collision may be imminent. Now this is fancy. 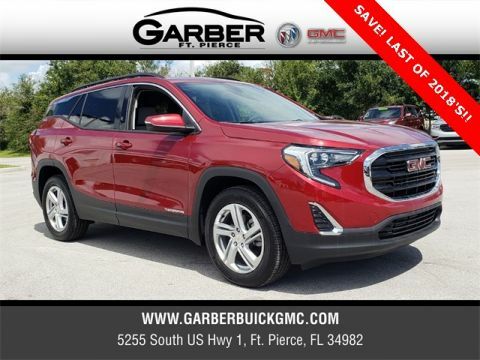 The all-new GMC Terrain features an available safety alert seat, which provides directional vibrations within the seat cushions to alert you if there’s a detected road hazard. Forget the stress of backing out of crowded parking lots with the Terrain’s Rear Cross Traffic Alert system. Utilizing ultrasonic technology, this system can detect when there is traffic approaching from up to 65 feet behind you, and will warn you with indicators on the Rear Vision Camera. Another system which aids in reversing, Rear Park Assist, uses ultrasonic and camera technology to alert you if you’re about to back into a stationary object at low speeds. It’s just one more way the Terrain is keeping an eye out for you. Change lanes like a pro with the Terrain’s Lane Change Alert with Side Blind Zone Alert. This system uses sensors to monitor your blind spots and warns you with visual alerts in your side-view mirror if it detects traffic in the next lane. 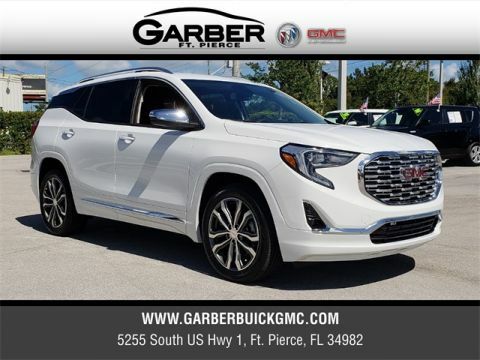 The all-new GMC Terrain is full of pleasant surprises, such as the available 2.0L Turbocharged engine hiding under the hood or the innovative Traction Select System to ensure you have optimum control on the road. Sit back and enjoy the ride. The new Terrain may be classified as an SUV but it still delivers the impressive fuel economy you want courtesy of its 1.5L Turbocharged 4-Cylinder Engine. Offering up to 30 MPG on the highway, you’ll spend less time at the pump and more time on the road. Who would have thought that a compact SUV could be this efficient? Go further for longer with the new Terrain’s astonishing 1.6L Turbocharged Diesel engine, which boasts a remarkable 39 MPG on the highway. Even though the Terrain is a compact SUV, it still packs a punch. With the available 2.0L Turbocharged engine, you’ll experience a thrilling 252 horsepower and 260 lbs. of torque. Now that’s powerful. The all-new Terrain features the option to seamlessly switch between drive modes based on road conditions with the Traction Select System. 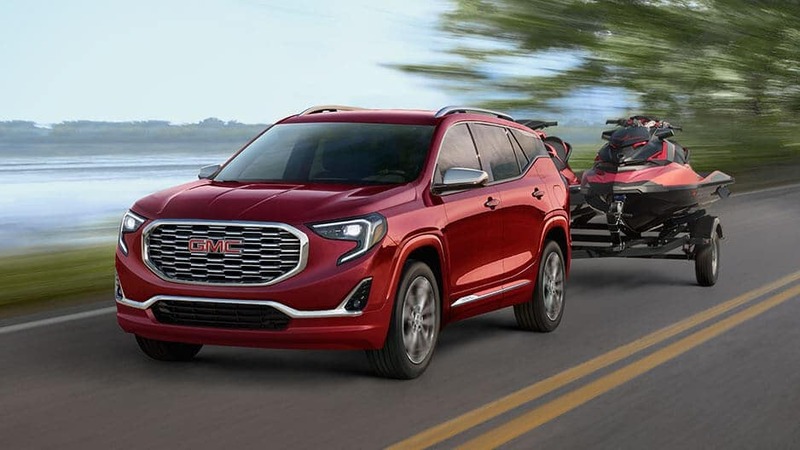 Choose between All-Wheel Drive, Front-Wheel Drive, Off-Road, and available Tow/Haul modes to optimize your Terrain for any driving condition. Save even more gas with the all-new Terrain’s Stop/Start technology. In certain conditions, such as heavy traffic or red lights, the engine will shut off when you come to a complete stop with your foot on the brake. When you remove your foot from the brake and back on to the accelerator, the engine will automatically restart, helping you conserve fuel. Adventure awaits in the all-new GMC Terrain. Whether you’re commuting to work or heading out of town on a weekend getaway, the Terrain has the advanced technology features to ensure the trip is never boring. 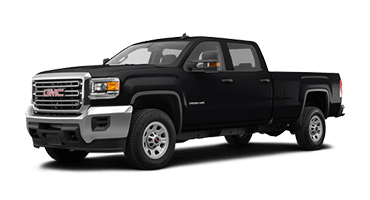 Sync your mobile device to the GMC Infotainment System and stream your favorite music through the innovative Bose® Premium Audio system, transforming your drive into a thrilling experience. You’ll be having so much fun, you’ll want to take the long way home. And with the all-new Terrain, you can do just that, thanks to an incredibly fuel-efficient diesel engine. Boasting up to 39 MPG on the highway, spend less time at the pump and more time on the roads having fun. 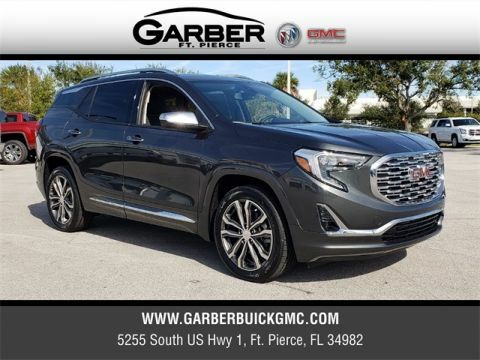 All this and more is waiting in the all-new GMC Terrain, available for a test drive today at Garber Buick GMC in Fort Pierce.